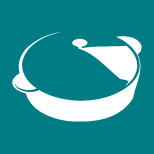 The forequarter is prepared from a goat side by a cut along the vertical line of a specified rib. 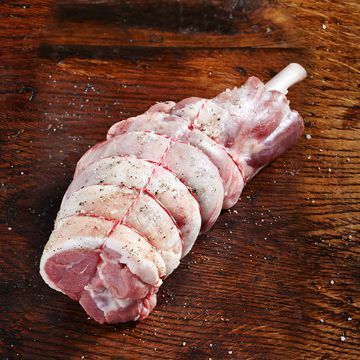 The goat forequarter is made up of many well-known basic cuts of goat including the neck, the shank, the shoulder rack and the square cut shoulder. There are two forequarters per carcase. 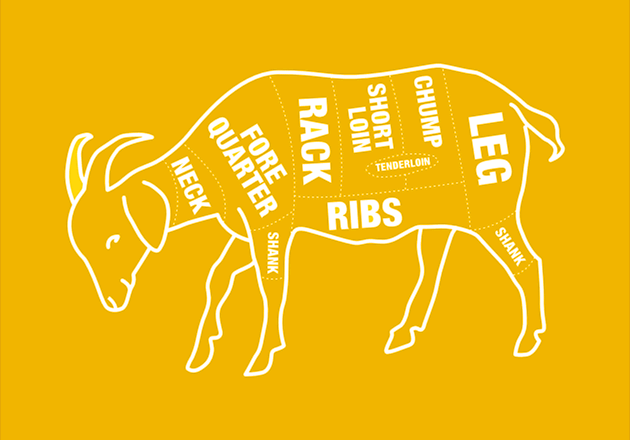 Most cuts from the forequarter perform best when cooked slowly. 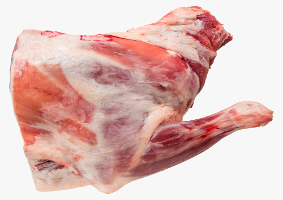 Goat bone-in shoulder is prepared from the forequarter by removing the neck and breast, leaving the shank intact. Cooking the shoulder using a low, slow, moist method allows the bone to impart flavour. The easy carve shoulder is prepared from the forequarter by removing the neck and breast, and leaving the shank intact. Cooking the shoulder using a low, slow moist method allows the bone to impart flavour while tenderising the cut. When roasting, there’s a small pocket to add stuffing. 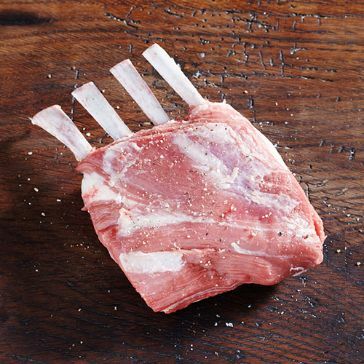 The forequarter rack is cut from the shoulder, off the forequarter. The blade is removed and the ribs trimmed and exposed, revealing what looks like a long row of ‘chops’. As a well-exercised part of the goat, the forequarter rack contains plenty of connective tissue. 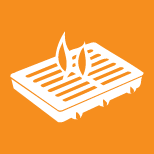 It’s best suited to moist, slow cooking methods to break down the tissue and allow the bones to impart their full flavour. The resulting meat is tender, light and succulent. 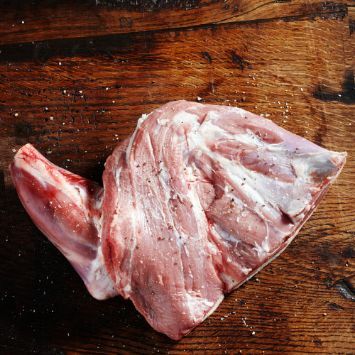 The forequarter is prepared from the side of the goat and is made up of many well-known basic cuts including the neck, shank, shoulder rack and square cut shoulder. 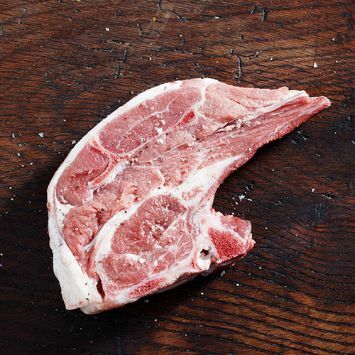 Cut from the forequarter, forequarter chops require slow-cooking in liquid at a low temperature to breakdown the connective tissue and draw out flavour from the bone, but can also be barbecued at high temperatures.